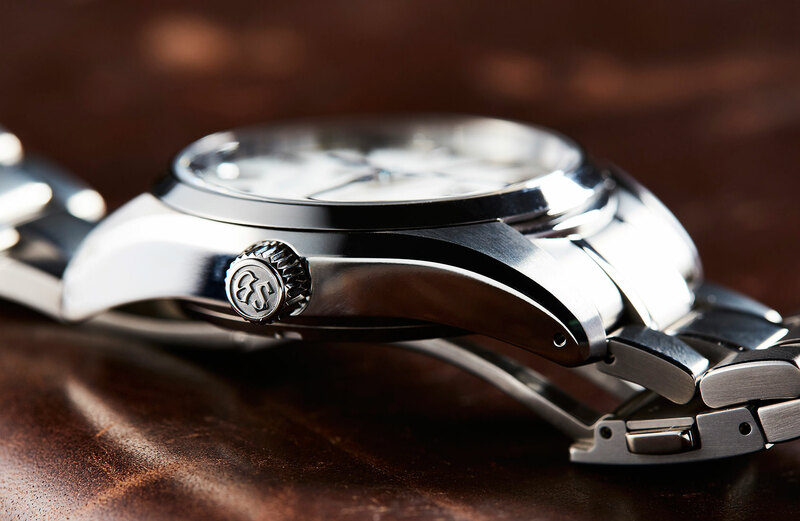 Editor’s note: With temperatures dropping, winter has officially arrived Down Under. 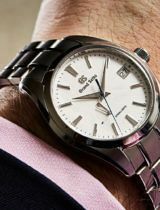 And although the mornings are now crisp and our evenings chilly, unfortunately for us, as we dust off our cable knits and scarves, our streets are unlikely to ever be covered in a sprinkling of the white stuff. 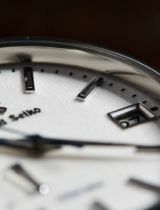 Still, we dream dreams of snow and ice. 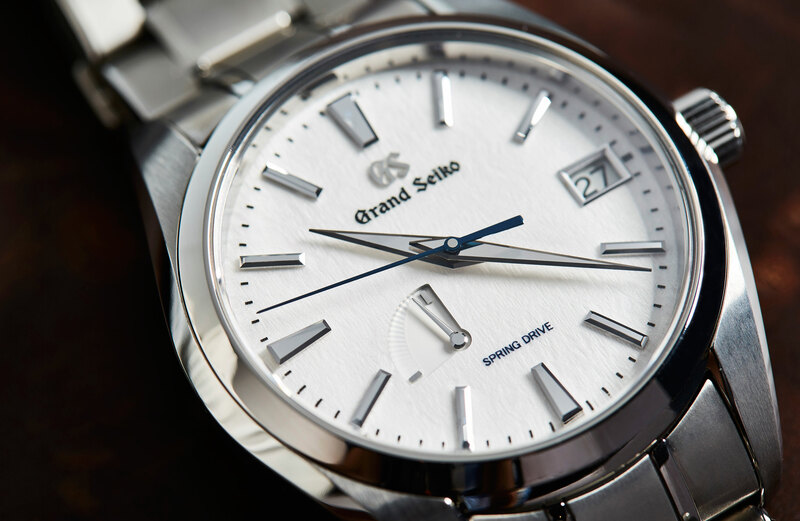 And with this week being all about Grand Seiko for us here in the Time+Tide office, we thought there’s no better watch to remind us of winter wonderlands than the Grand Seiko SBGA211 Snowflake. 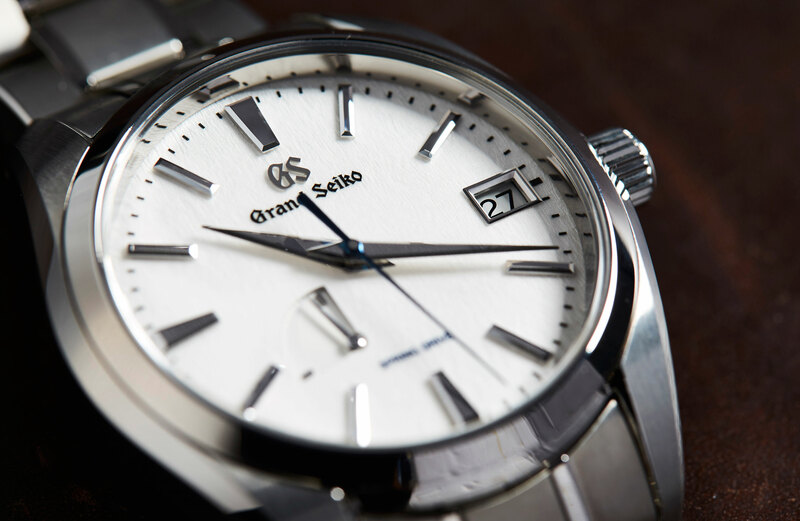 Grand Seiko’s famous ‘Snowflake’ has been with us for quite some time now (it was first released, as the SBGA011, in 2010), and it’s quickly earned a reputation as an exemplary everyday watch that manages to combine functionality and beauty in equal measure. Smartly, Seiko knew enough to leave one of the cores of the Grand Seiko collection well alone … until this year. 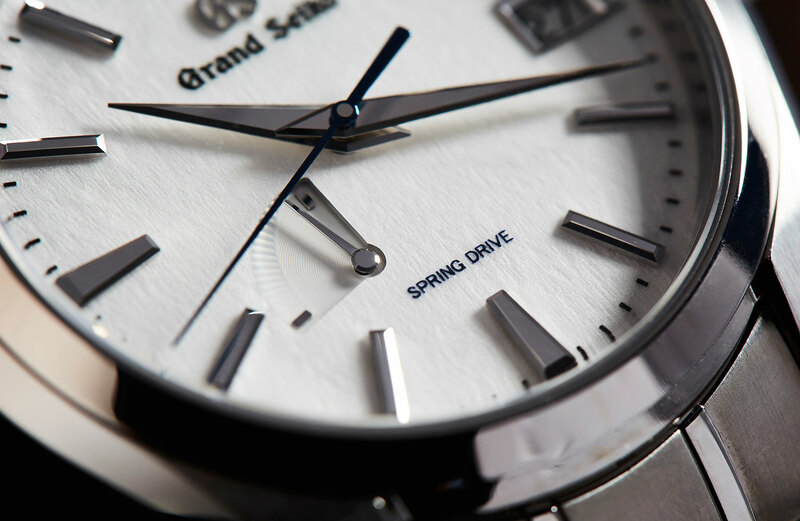 The ‘new’ Snowflake is the SBGA211, and, thankfully, it’s virtually identical to the original — except for the dial. 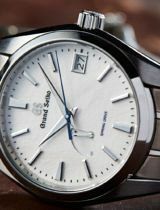 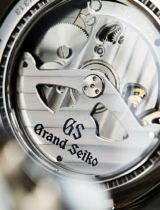 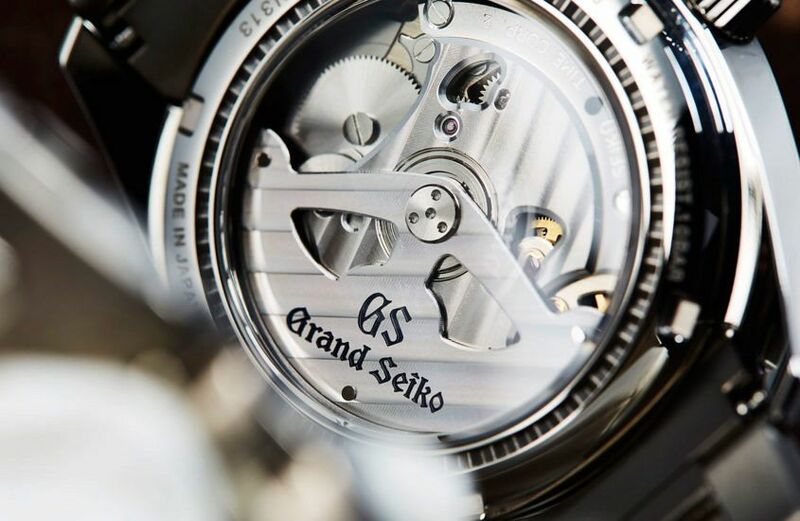 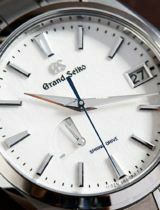 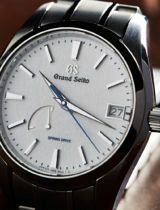 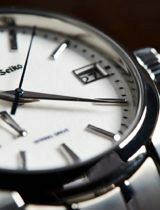 At the start of this year it was announced that Grand Seiko would be fully independent from Seiko — a move well overdue. 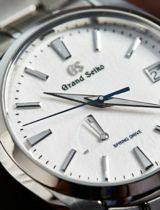 The most obvious symbol of this change was that the characteristic (and idiosyncratic) Seiko/Grand Seiko double branding disappeared from Grand Seiko dials, resulting in cleaner, less confusing dials. 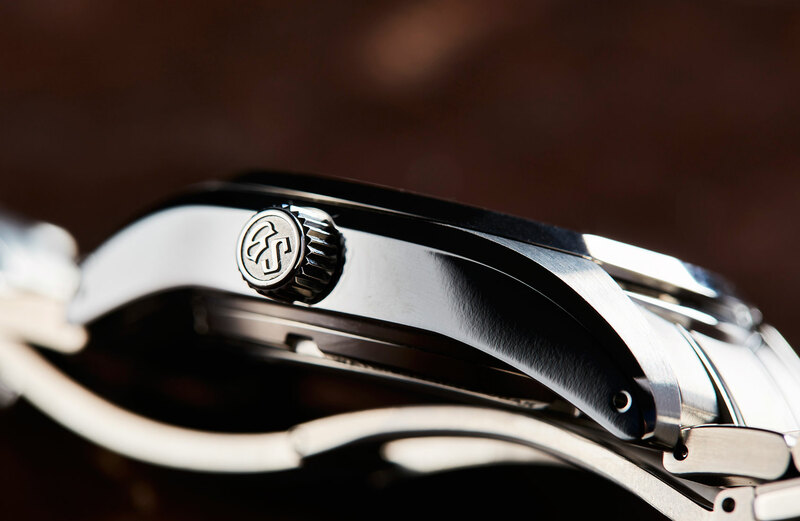 In the case of the Snowflake, this simpler design is a big improvement, giving a more balanced look that allows the wonderful texture of the Snowflake to shine. 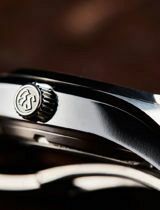 Then, of course, there’s the movement. 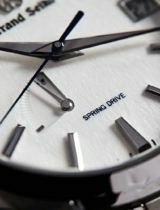 As I explained in my video review, Spring Drive is a genuinely innovative approach to achieving chronometric perfection, a proprietary combination of magnetic, kinetic and electrical energy, which offers the accuracy that comes with a quartz oscillator and the convenience (and many would argue, soul) of a spring-powered mechanical watch. 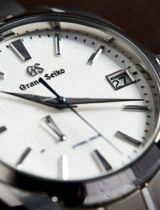 Some people have a fundamental aversion to any high-end watch that isn’t 100 per cent mechanical, but I think the combination of the 9R65 Spring Drive movement’s beauty, exceptional accuracy (+/- 15 seconds a month officially, but unofficially often much better), 72 hours of power reserve, and the hypnotic, flawlessly smooth sweep of the seconds hand is enough to win most rational people over. 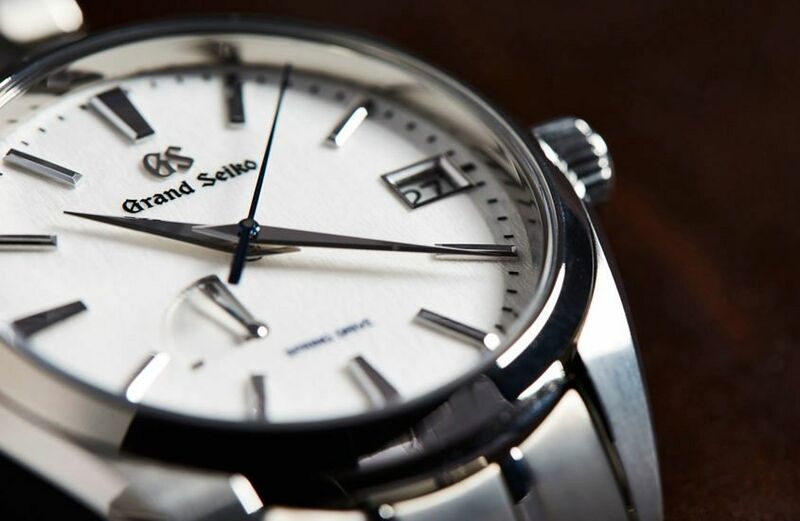 Finally, there’s the dial. 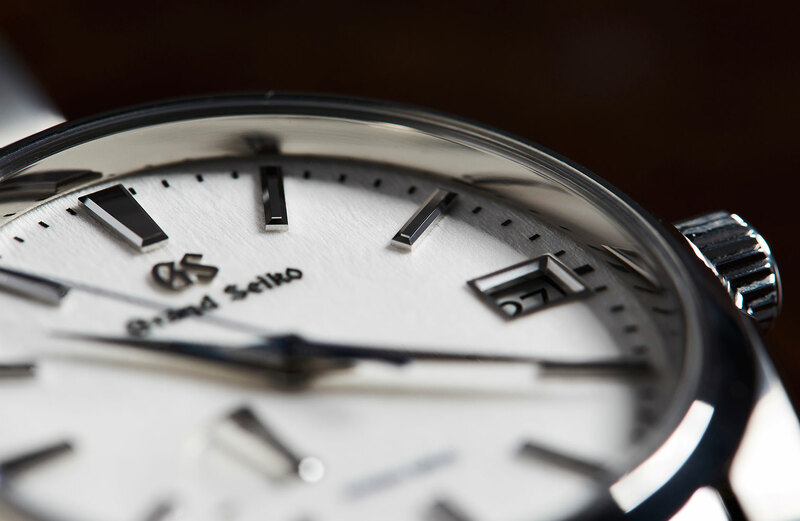 Named for its resemblance to a field of pure snow, the execution of the dial is particularly Japanese — artisanal in the purest sense of the word. 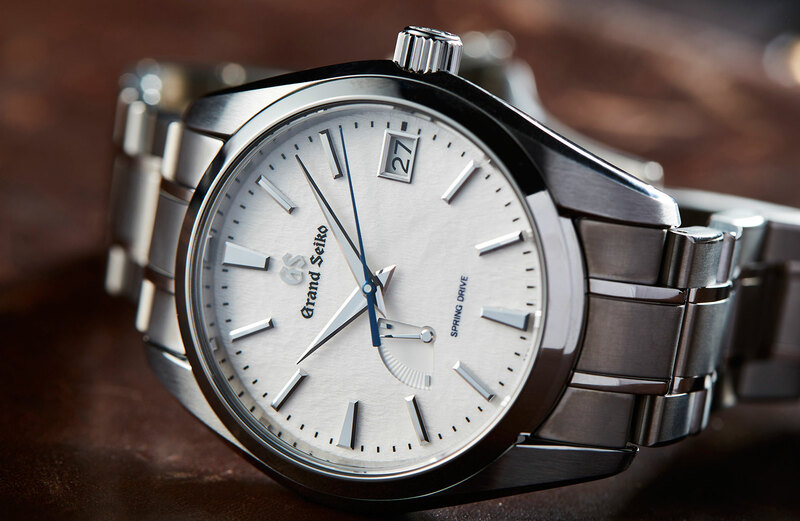 The dial is stamped with the rough, textured pattern, and then treated with numerous layers of lacquer to achieve the final magical, translucent effect. 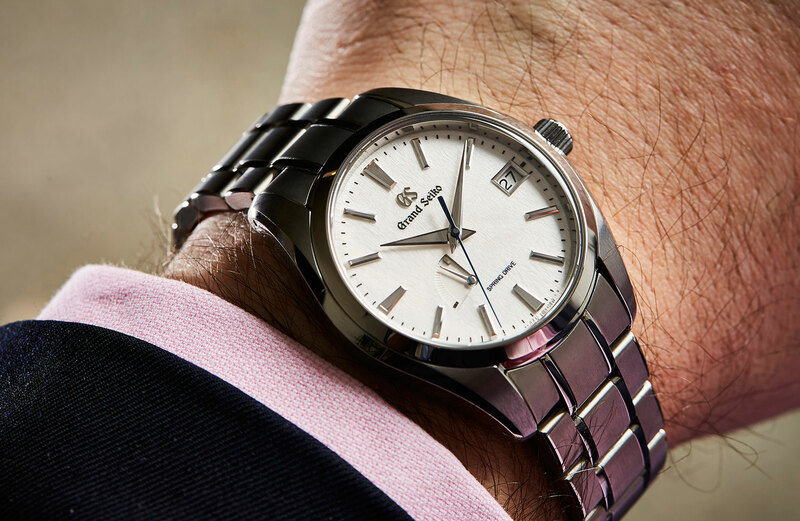 The contrast provided by the highly polished, and exquisitely cut, indices and hands only amplifies the serenity of this small, white circle of real estate. 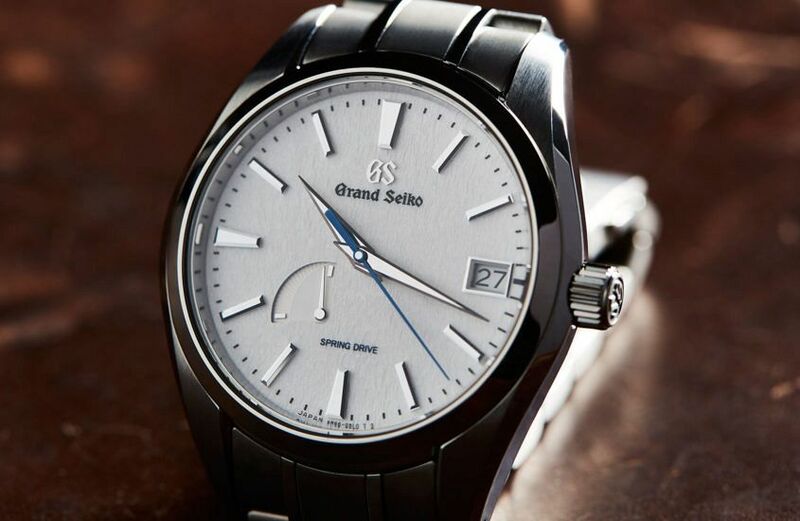 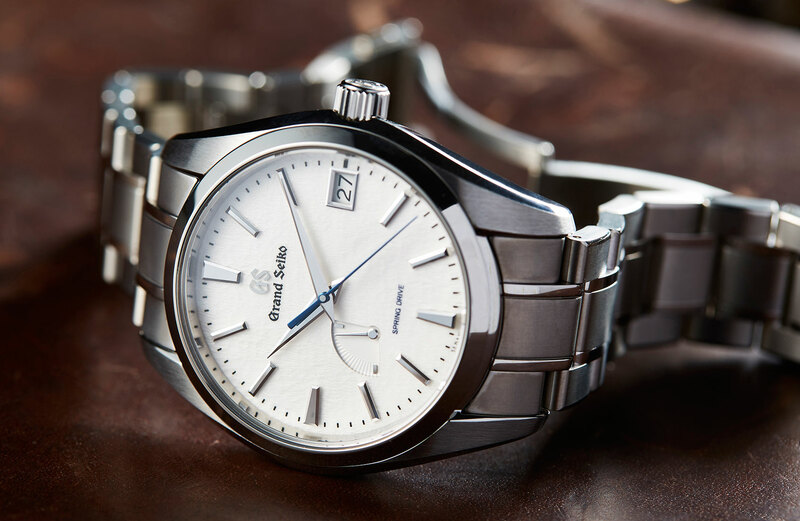 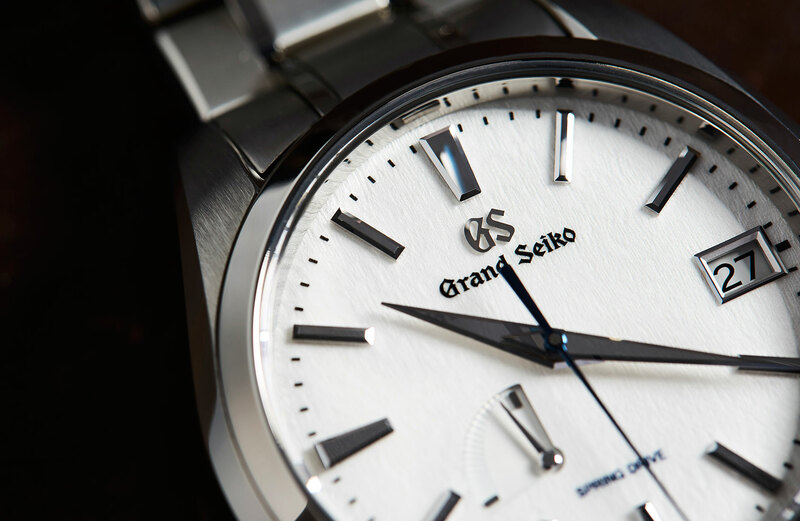 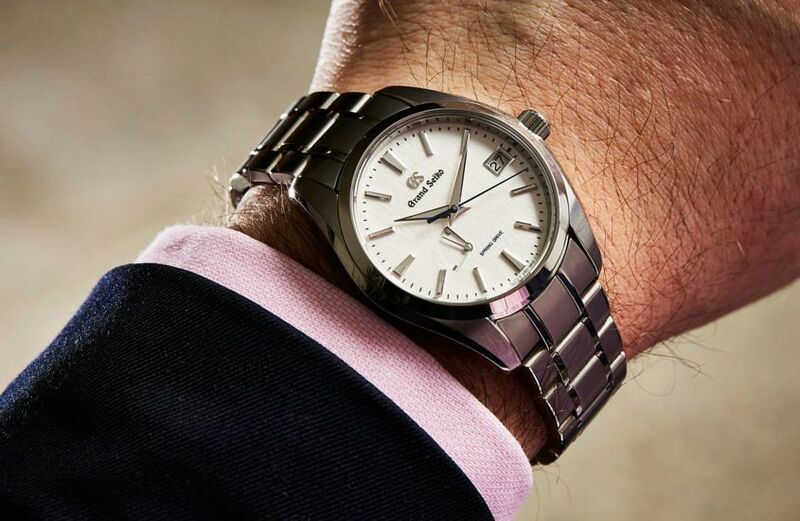 Fundamentally, this Grand Seiko is quite a plain watch. 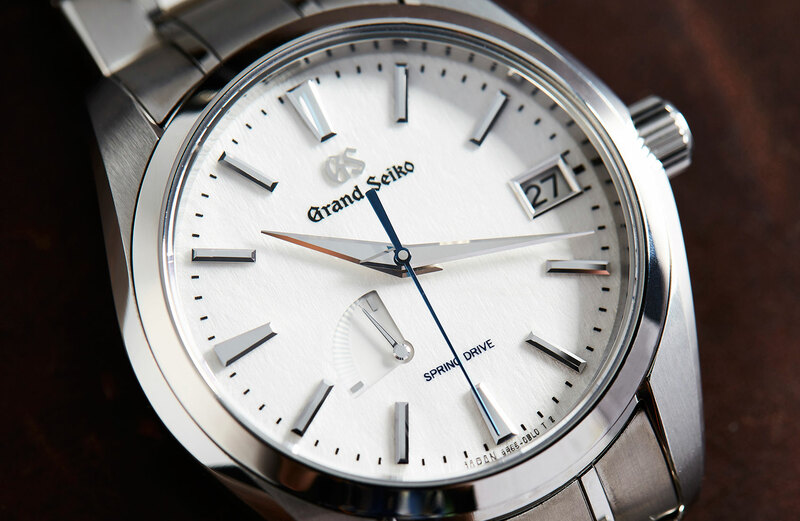 A 41mm round, time and date model with a white dial and titanium construction — most brands will have something similar in their line-up. 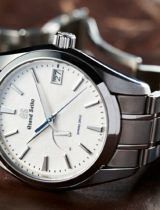 But the reality is far different from the specifications. 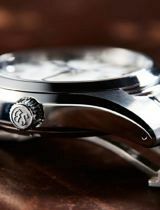 Much like its namesake, the Snowflake is unique.